Except you are very familiar with the following Bible passage, "So then because thou art lukewarm, and neither cold nor hot, I will spue thee out of my mouth." (Rev 3:16), then you might not fully understand how much I avoid lukewarm water. My distaste for lukewarm water ended up making me take more of soft drinks. There is just something uninviting about that taste of room temperature water. And when I am ill, I totally just want to avoid it. It is like a punishment for me to take drugs with room temperature water. It is not really that I like Coke (Coca-Cola) or Pepsi or any of the other drinks I end up buying and drinking, the real problem is that I dislike lukewarm water. While in university when you remember to drink water only after you are almost dying from thirst and can't afford Coke or any of them bottled drink, it was not a big problem. I drank mostly cold sachet water. But as I got out of university and started earning money and could afford them fizzy drinks, it became a daily affair. I would down my lunch food with a bottle of Pepsi or Coke every workday. Then I became more health conscious, and don't laugh at this: my bright healthy idea was to limit my soft drink intake to one 50cl bottle a day. And it didn't always work out that way -- some days I would down more than one bottle and other days I would deliberately go out of my way to buy a bottle of Coke or Pepsi when it's almost end of day and it's looking like I might end up not drinking any that day. After a couple of months/years, it occurred to me to go zero sugar. To buy Pepsi Light or Coke Zero or Sans Creme Soda or any other low/zero sugar drink. I felt proud of myself. And would buy them in bulk amount so I don't have to hunt around for them. Well, recently I found out that it's another terrible idea. I did a thorough reading online -- reading through research papers and health articles on health safety of zero sugar drinks. They are no good. The sugar substitutes used to make them sweet without adding calories confuses the body system and interferes with the proper functioning of the body (in a small way but still worth paying good attention to). You drink them and your body thinks food has come, and your taste buds and digestive system and food hormones believe its the natural sugar but encounters something they are not configured to handle. It totally disrupts their response and creates other types of problems you don't want. 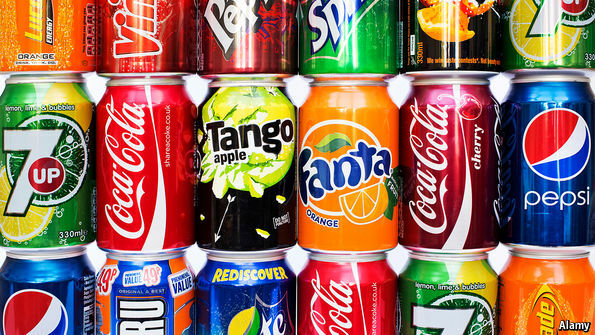 So what is the healthy alternative to soft drinks? Well, the answer is and has always been water. And if you are like me, maybe cold or hot water. Now I am doing the right healthy choice. I make it my goal to drink only water. I will fail at it, but will be happy with a 70% success rate.